I am sharing this post in partnership with SunButter. As always, all opinions are my own. I appreciate you supporting both me and the brands that allow me to create quality content for you! 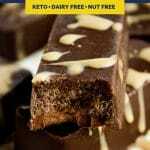 These Chocolate Bar Fat Bombs are a mouth-wateringly delicious keto-friendly dessert recipe featuring SunButter Sunflower Butter, a keto-friendly, vegan, paleo-compliant, and peanut-free and tree-nut-free product! I recently was diagnosed with a severe peanut and tree nut allergy, so you can imagine that, in knowing my favorite food was almond butter, I was pretty crushed by this news. 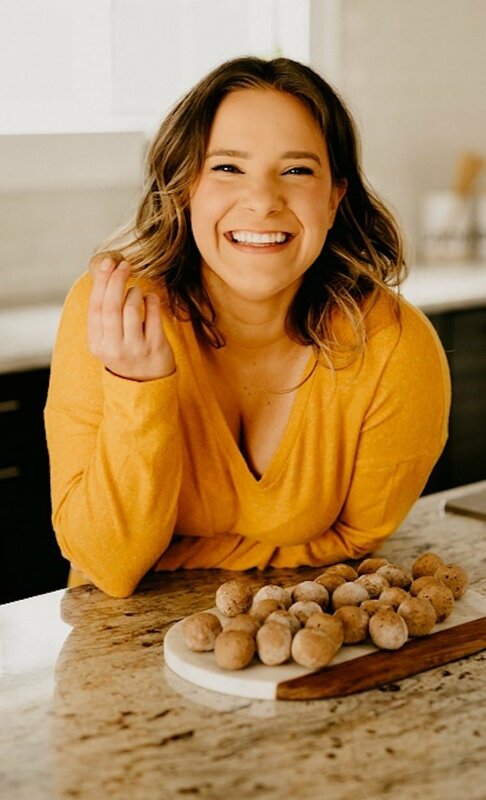 Not only did I regularly use nut butter and nut flours to develop many of my recipes, I was also a lover of spooning almond butter straight from the jar as an after-dinner snack. Luckily, I quickly found a replacement for my nut butter obsession in SunButter Sunflower Butter and I truthfully haven’t missed almond butter for a second. 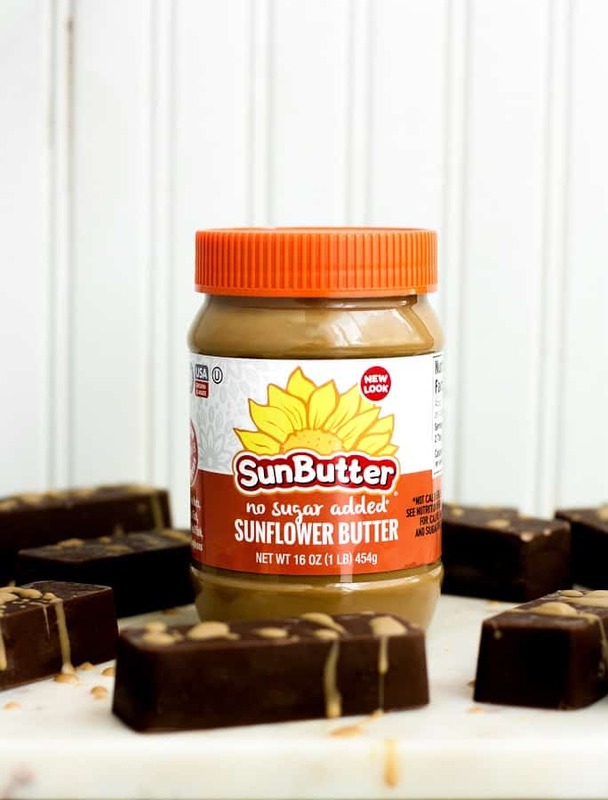 SunButter’s No-Sugar-Added SunButter tastes creamy and spreads easily like traditional peanut butter, incorporates perfectly into my ketogenic dessert recipes, contains minimal carbs, and allows me to indulge in my favorite snack without any fear of a life-threatening allergic reaction. Like many of my recent dessert recipes, these Chocolate Bar Fat Bombs are not only low in carbohydrates, they are also entirely free from any nut products. Rather than using peanut butter or almond butter in this recipe, I use SunButter Sunflower Butter. Sunflower butter is made from sunflower seeds and SunButter products are processed in peanut- and tree-nut-free facilities; and, going a step further, SunButter ensures their consumers’ safety by keeping their facilities free from not just peanuts and tree nuts, but also from the remaining 6 of the top 8 food allergens: soy, dairy, eggs, wheat, fish, and crustacean shellfish! It seems that a majority of low-carb, ketogenic recipes, especially desserts and baked goods, contain some form of peanuts or tree nuts. Now, having been personally affected by serious nut allergies, I have enjoyed replacing nut butters with SunButter in my favorite low-carb recipes. 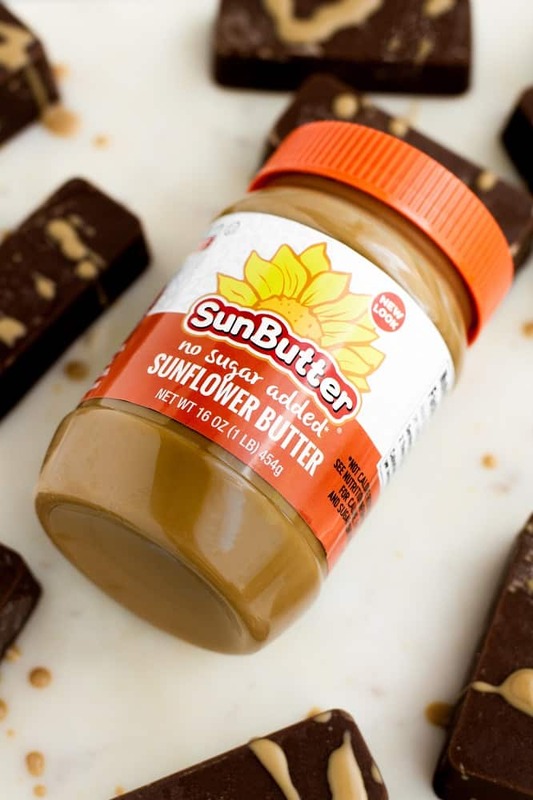 So, if you follow a ketogenic lifestyle and either you or someone in your household has peanut and/or tree nut allergies, I highly recommend adding a few jars of SunButter’s No-Sugar-Added Sunflower Butter to your pantry! 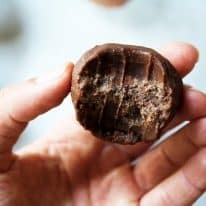 These Chocolate Bar Fat Bombs are the ultimate way to indulge in your chocolate craving while continuing to follow your personal diet and lifestyle goals! Low-Carb and Keto: One chocolate bar contains only 2.1 grams of net carbs per serving. 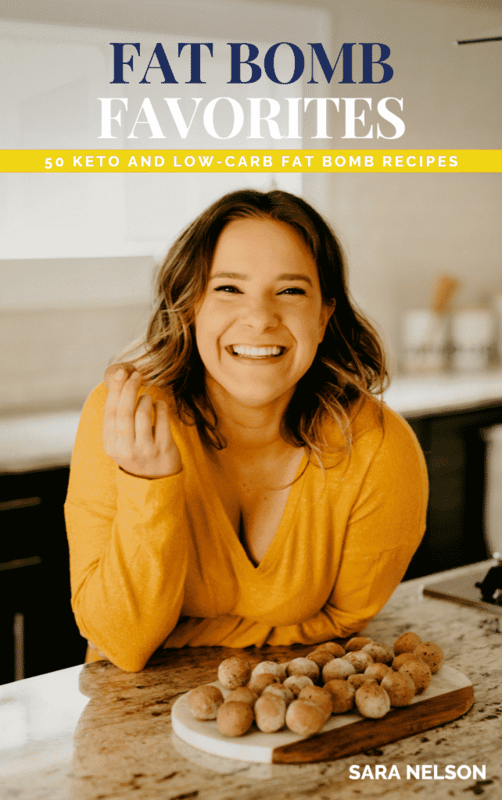 Nut-Free: Made with SunButter Sunflower Butter and coconut flour, these nut free keto fat bombs are safe to consume for those with nut allergies or nut intolerances. Paleo: This recipe is paleo-compliant as it does not contain grains, gluten, dairy, soy, or refined-sugar. Dairy-Free: Coconut oil is in this recipe, making these chocolate bars safe to consume for those with a dairy or lactose allergy or intolerance. Vegetarian and Vegan: This recipe is free from animal products and is therefore vegetarian- and vegan-compliant. Refined-Sugar-Free: Sweetened with all-natural golden monk fruit sweetener, these chocolate bars do not contain any refined-sugar. Wondering what is monk fruit sweetener? Take time to read this post. One chocolate bar contains 2.1 grams of net carbs per serving. This recipe yields 9 chocolate bars. These Chocolate Bar Fat Bombs are keto, low-carb, nut-free, paleo, dairy-free, gluten-free, grain-free, vegetarian, vegan, and refined-sugar-free. 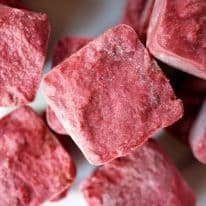 Looking for more fat bomb recipes? Check more nut-free low-carb recipes here. 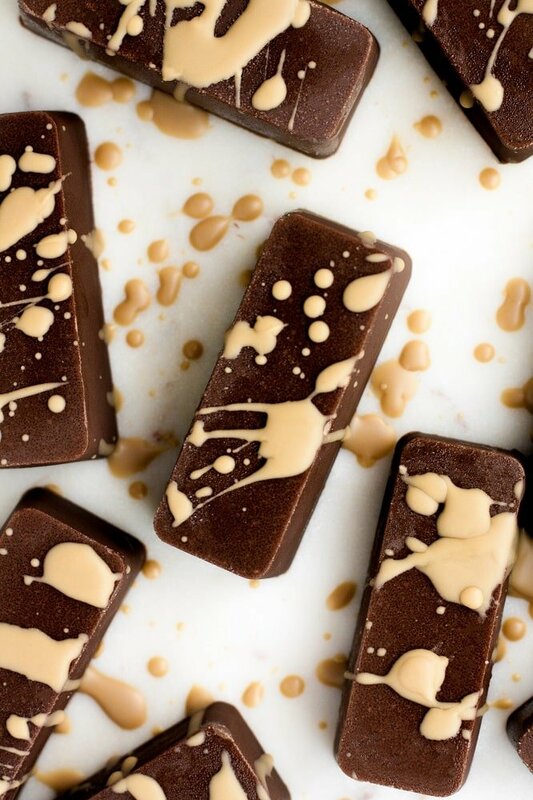 These Chocolate Bar Fat Bombs a mouth-wateringly delicious keto-friendly dessert recipe featuring SunButter Sunflower Butter! 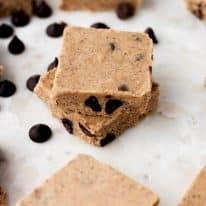 This recipe is keto, low-carb, nut-free, paleo, dairy-free, gluten-free, grain-free, vegetarian, vegan, refined-sugar-free, and contains only 2.1 grams of net carbs per serving! Over medium heat in a small pot, melt and combine SunButter and coconut oil. Remove pot from heat and add cocoa powder, monk fruit sweetener, and coconut flour and whisk together until all ingredients are well-combined. Pour mixture into cavities of silicone mold, transfer to freezer, and allow chocolate bars to harden, about 35 minutes. Store bars in airtight container in freezer. This is a sponsored post written by me on behalf of SunButter. 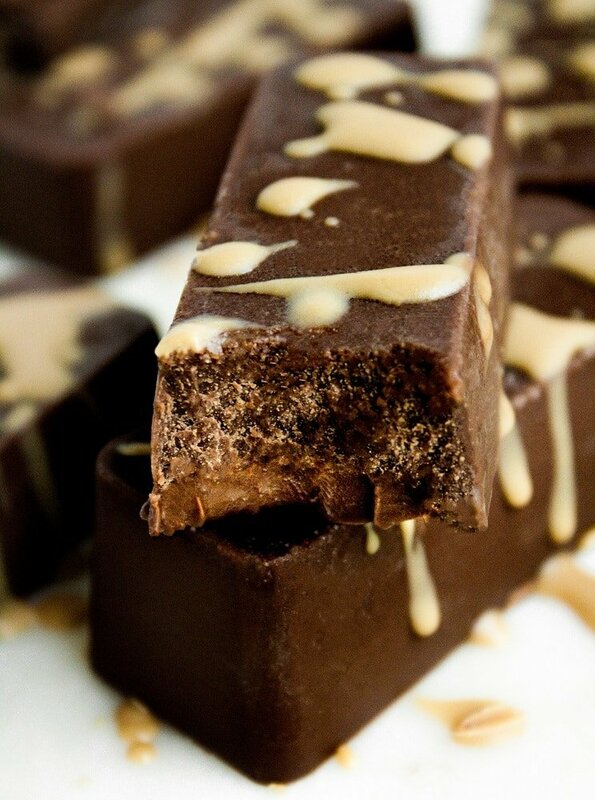 What is the drizzle on top of the chocolate bar far bombs? Is it more sunflower butter? Yes! Great question. It’s just some additional SunButter drizzled on top. ? Thank you for that insight! I have heard that people have experienced that before, but I’ve been very lucky to continually tolerate sunflower seeds. Fingers crossed that doesn’t change since SunButter is one of my favorite products! Can I use the regular powdered monk fruit or is it best to use the golden? What’s the difference? Hi, Erin! Yes, the classic monk fruit sweetener from Lakanto will work perfectly here. The golden variety is a similar flavor to brown sugar. Either will taste great in this recipe though!